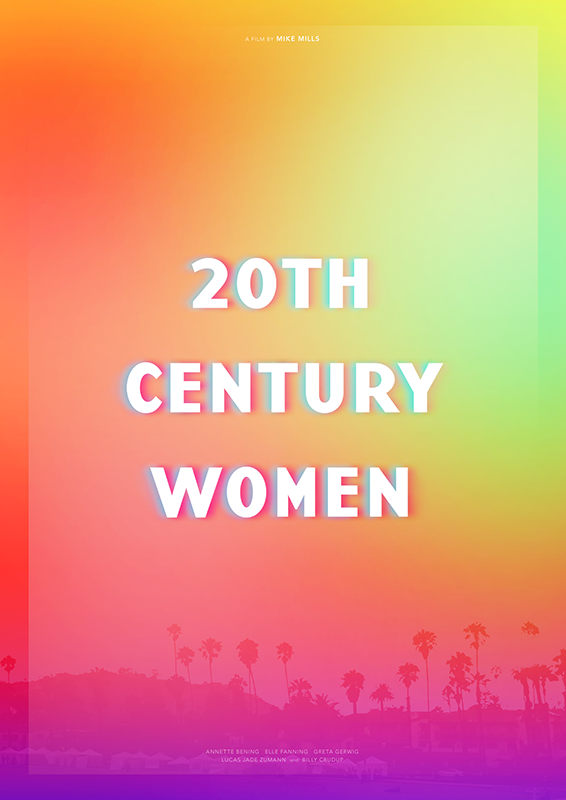 I had a chance to watch 20th Century Women, a remarkable film by Mike Mills, which finally opened in the last weekend in Japan. I loved it so much and immediately knew this film became one of my favourites visual-wise and storywise. I loved it so much that I produced fan-made poster concepts. The film sets in 1979 in Santa-Barbara. We see a mother in her 50s and vibrant female friends from a 15-year-old boy’s point of view. All of them are attractive in their own ways with their intellectual and free spirits, surrounded in comfortable interior and clothes. The cinematography and processing are stylish, and nostalgic but somehow modern at the same time. With the principle that one cannot control one’s own life, the film embraces the act of family and friends touch and affect each other, whether those relationships turn out as they like or not, in beautiful compositions. 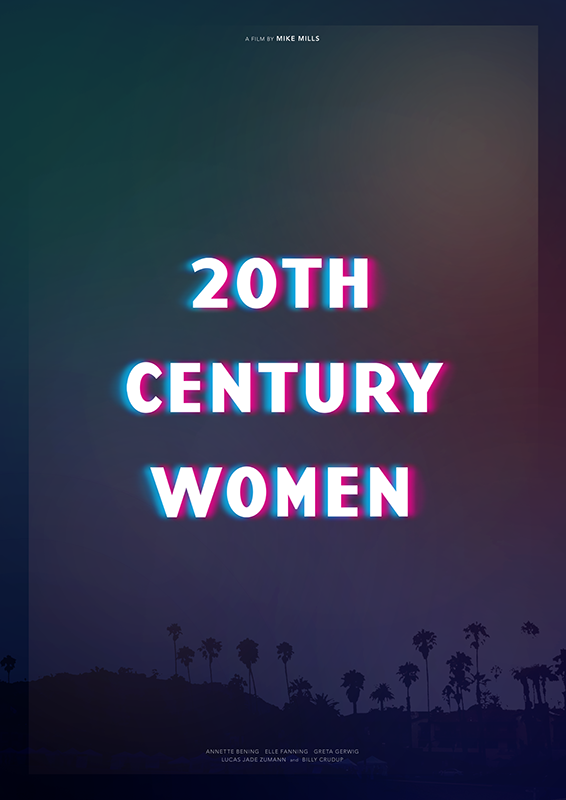 The Japanese title can be read as “20th Century Woman” on the other hand the original title clearly indicates “women” as the plural. This was an inevitable disappointment where Japanese language does not distinguish plural from singular form. In the film, Abby, a photographer who dyes her short hair red, owns a Susan Sontag book “On Photography”(1977). Of course. I pretty much was inspired to read the book again.